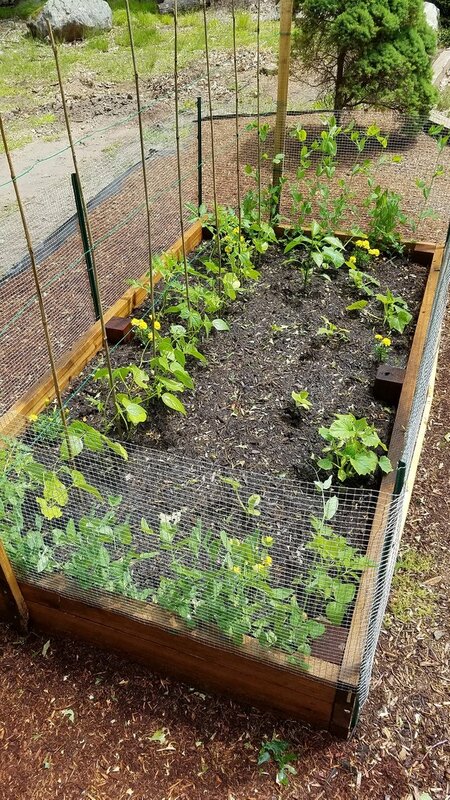 Vegetable Garden Update, Bean Poles!steemCreated with Sketch. It's now mid-June and the Italian green beans are doing very well so it was time to get some poles in place for them to climb on. 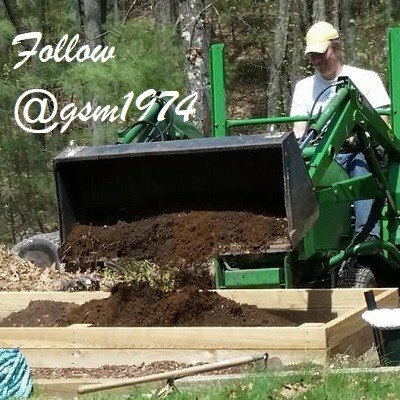 I used a trick I learned years ago that makes this an easy task. Place a pole at either end of the row and then run a piece of coated wire tightly between the poles at 12, 24, and 36 inches. Then insert cheap bamboo stakes alternating in front and then behind each wire. This keeps them taunt and in place. The beans love it and within 24 hours had jumped onto the new poles and started up. GREAT job! Love how the beans took to the stakes so quick! I'm curious... what is growing and creeping up the mesh like fencing? Those are peas and just starting to blossom. 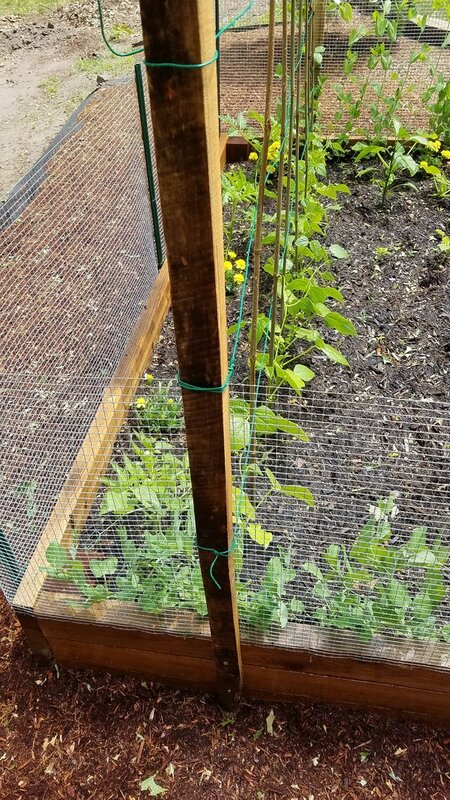 They love either chicken wire or the smaller hardware cloth that I like to use that will keep even the chipmunks out.